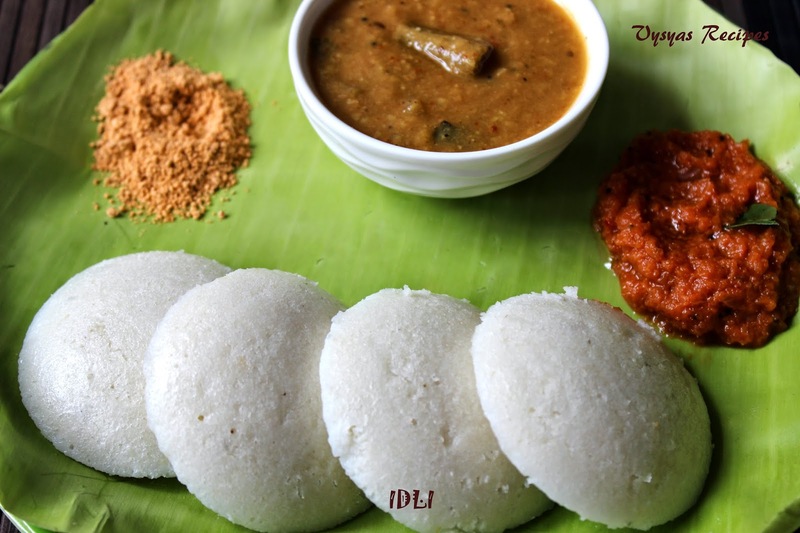 Idli is an authentic south Indian breakfast Recipe.No south Indian functions end without idli. Idly an indian steamed cake,usually served with sambar and different types of chutney's.The rice and urad dal in idli's complement each other, making it a complete protein.They are also low on calories, high on energy and are easily digestible. The vegetables and dal in the sambhar are good supplements.South Indians have brought the popular idli wherever they have settled throughout the world. wash idli rice and soak it for 4 to 5 hours or overnight before grinding. wash and soak urad dal and fenugreek seeds,one hour before grinding.soak rice seperately & urad dal + fenugreek seeds seperately. Grind urad dal and fenugreek seperately till it become soft and fluffy.Add water little by little, to get smooth batter. Ground urad dal consistency should be thick and fluffy not watery & transfer it to a container.idli comes well only if urad dal batter is thick & fluffy. Now grind idli rice seperately till it become fine paste with needed water. Mix ground urad dal and ground idli rice to gether in a container along with salt. (i use hands to mix it).Mix it well ,from the bottom . consistency of the batter should not be too thin or too thick. it should be moderate.if it is watery idli's will be flat or if it is too thick idli's will be hard. once you start preparing you get used to it. After mixing the batter pour it in a container , container should be half filled,because after fermentation quantity of the batter will get doubled. Once the batter is fermented, add 1 or 2 tbsp of water and mix it well, to get the consistency as shown in the picture.Now idli batter is ready. 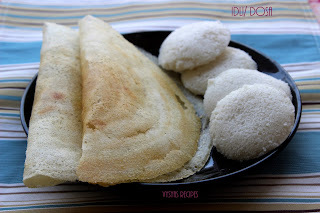 You can use idli steamer or pressure cooker or heavy bottomed kadai, to make idli's. 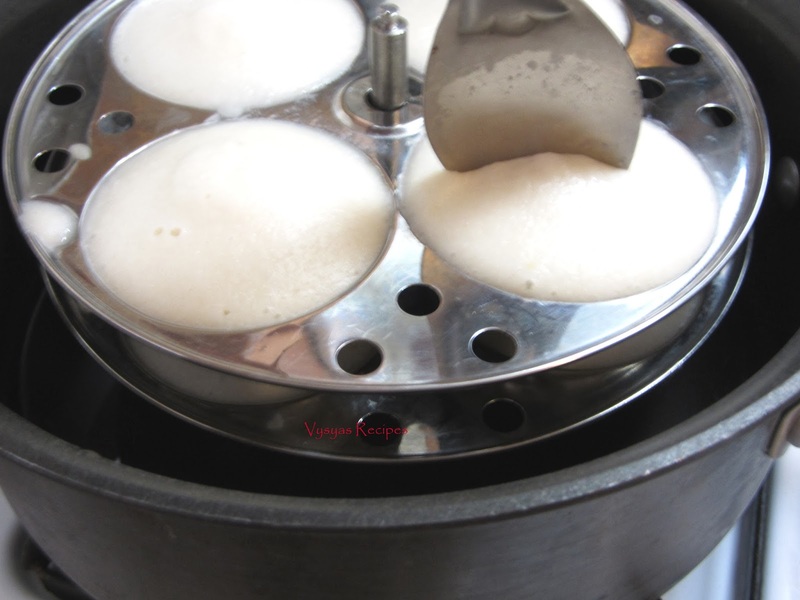 Pour some water on idli steamer or pressure cooker, and keep it on the fire, in the meantime wash the idli plates with running water, then spoon it with the batter. Allow it to steam for 10 - 12 minutes. Insert a spoon to check, whether idli's are done. if it comes out as clean,idli's are cooked else cook for few more minutes. 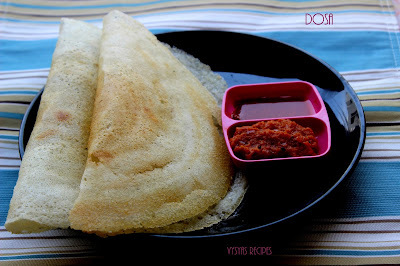 First two days we make idli's, Third day we make dosa's.With final batter, we make uttapam or masala paniyaram. At times spoon the batter in mini idli moulds, to make mini idli's.Spoon tiffin Sambar on top of it , which becomes 14 idli. Pesarattu could also be done with this batter. To the idli dosa batter add 1/4 cup of water & bring it to pourable consistency. Heat the tawa, when it is hot, drizzle some water, when it sounds shh! sound tawa is ready for dosa preparation. Take the ladle of batter & spread it in a circular motion as thin you can, then drizzle some oil, when it turns crisp at one side, flip the dosa then cook on other side.Remove from tawa when both sides are cooked. Serve hot with dosa, chutney or Podi. it is not necessary to Grease idli plates with oil.